Pier 7 Marina is Bay City’s oldest continually-operating full service marina on the Saginaw River. Pier 7 has been a part of the Bay City riverfront since 1954 when it opened as Plowdrey’s Yacht Harbor. Through the 1950’s into the 1970’s, Plowdrey’s was a staple along the river, being adjacent to Third Street Bridge, and the trademark “pier” that extends nearly one third the way across the Saginaw River. 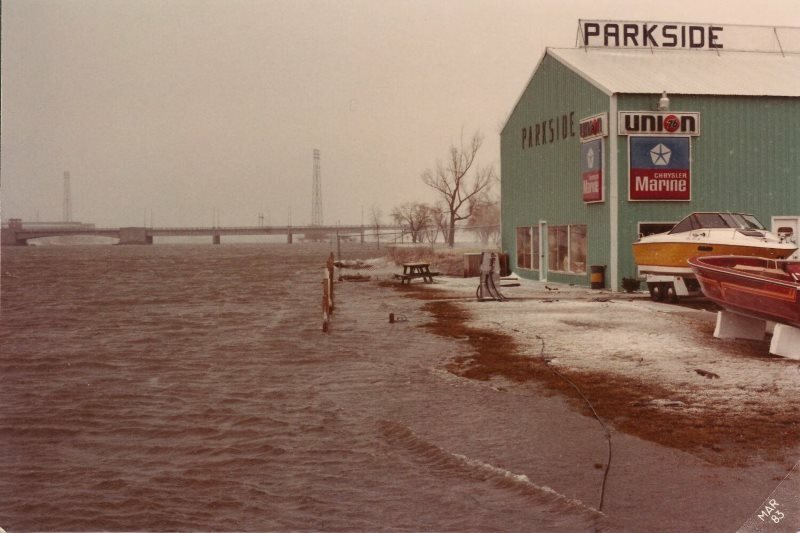 In the 1970’s, the business was sold and changed to Parkside Marina. Parkside operated until 1986, when a group of investors purchased the property, along with the property across the river (now the Boathouse Condominiums), and created a two- location marina known as Pier 11. Pier 11 operated two locations for three years, and in the spring of 1990, the westside marina was sold and rebranded as Pier 7. At the time, it was the 7th marina from the mouth of the Saginaw River. In the winter of 2016, Pier 7 was acquired by long time employee and manager, Jamieson Poirier. With nearly two decades of marine industry experience, Jamieson strives to carry on the legacy of Pier 7 Marina, while providing the best customer service in the Great Lakes Bay Region. In the winter of 2016, Pier 7 Marina was purchased by Jamieson and Molly Poirier of Essexville, Michigan. With twenty years of marine industry experience, he believes in providing the best service through personalization and communication. His love for the water proved to be the driving factor to make a name for himself in the marina business. After earning a Bachelors and Masters degree in Management, he leveraged his expertise in the marine industry, coupled with his business knowledge, to purchase Pier 7 Marina. Jamieson is hands-on in the operation of the marina. It is common to see him involved in projects all over the yard. From assisting in repairs in the shop, helping a customer out in the store, to operating the travelift, there is no place he’d rather be than around the marina.